FRESNO – Fresno Monsters Hockey invites boys and girls ages four to nine years old to Gateway Ice Center on Saturday, November 2 at 4:15 p.m. for a Try Hockey for Free clinic to experience ice hockey for the first time and learn the basics of the sport in a fun, safe environment. Try Hockey for Free Day is part of Come Play Hockey Month. This program, designed to provide youth hockey associations a national platform to introduce new kids to the sport, is a joint-effort between USA Hockey, the National Hockey League, and NHL member clubs. With Total Hockey and Liberty Mutual Responsible Sports, the official sponsors of Try Hockey For Free Day, USA Hockey has 500 locations offering kids between the ages of 4 and 9 years old this unique opportunity. 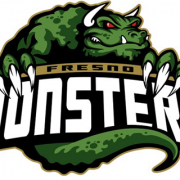 To register for one of the 500+ Try Hockey for Free opportunities, please visit www.TryHockeyForFree.com or contact the Fresno Monsters at (559) 549-4TIX (4849).